Looking for ideas or special offers? Connect with us! MallSystem provides a simple and effective way for companies to organize, manage and distribute corporate-branded collateral. MallSystem is the perfect choice for Corporate Storefronts, Loyalty and Redemption Sites, and Employee Appreciation Portals. MallSystem is safe and secure-with a range of ecommerce capabilities for handling a variety of transaction and redemption scenarios. From a points-based system to traditional credit card transactions, MallSystem is the platform of choice for hundreds of organizations. HR Directors across the country can benefit from the MallSystem platform for organizing and distributing job-related materials, apparel and corporate collateral to new hires. Our Employee Orientation solution is easy to deploy, and provides a consistent way to onboard new employees. The MallSystem platform is also ideal for Employee Appreciation . 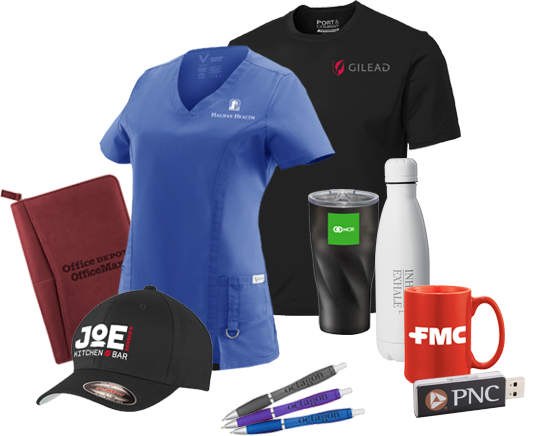 Our points-based solution provides an interactive way for employees to redeem points for branded merchandise and apparel. Your supporters login to the secure, custom branded store using their unique access code. Once logged in, users can browse through your predetermined products. Products can be redeemable via Gift Limit, Account Credits, Credit Card, Payroll Deduction, or Purchase Orders. A variety of product filters are available to help navigate the shopping experience. After selecting all desired items, the intuitive checkout process guides the user to complete their order. All orders are delivered right to the recipient's doorstep. #STEWARDSMARTER by allowing your loyal donors to choose their own gifts. Donations to your program, cause or institution is personal, as should be the post-donation acknowledgment gift and recognition. PPI Loyalty's MallSystem helps you make a connection to your donors by allowing them to choose their own premium gift. The key to successful stewardship begins by ensuring loyal donors - at every level - are acknowledged and appreciated. With our powerful proprietary MallSystem Gift Program, your donors can choose their own premium gift determined by their level of contribution. The MallSystem Gift Program is intuitive and engaging for all users on any device. MallSystem provides ecommerce solutions tailored to your company that will allow multiple users to enter the site, place an order and then dispense the orders based on item, date of order, who ordered and where the order needs to ship. Our unique stores feature on-demand printing, allowing us to fit any size, while offering full color product imprints. We can also provide products to commemorate that special moment on a moment's notice. You can set up your MallSystem store using a single-use code platform, or multi-use code platform for your employees and or customers of your business or organization. You can predetermine any amount of gifts for each campaign and even choose how many gifts each code can be redeemed for. Users can redeem any amount of free gifts specified by you. Additional items can be purchased with a credit card. Users can redeem items using the credits awarded/assigned to them. Users can purchase any item on the store using their personal credit card. Employees can purchase items directing funds from their pay check. Users must enter in a Purchase Order Number in order to complete their orders. Users must select a payment method or Cost Center predetermined by you.